Change Services: Change is available from the change machine and the Circulation Desk. The change machine is located east of the Circulation Desk and will provide change for $1 and $5 bills. The Circulation Desk will provide change for $5, $10, and $20 bills. Fax Services: The Circulation Desk offers fax services for all library clients. Fax services include receiving and sending faxes to local, long-distance and international numbers. Fine Payment: The Circulation Desk on the first floor accepts payments of fines and fees. More information about fines can be found on Circulation Fines & Fees. Graduate Locker: Library lockers are available for semester checkout for WSU graduate students in order to facilitate research involving library materials. Library staff at the Circulation Desk on the first floor can provide more information and locker applications. Graduate Teaching Assistant (GTA) Loan: Graduate Teaching Assistants may request GTA library privileges. Completed GTA Loan Policy & Request Form must be signed by your advisor and returned to the Circulation Desk. Lost & Found: Have you lost something in the library? Check at the Circulation Desk. Lost Shocker Cards are taken to the Shocker Card Center every few days. Items for Sale at the Circulation Desk: Blue books, earbuds, and reusable bags can be purchased at the Circulation Desk. Blue Books: Small - $0.25; Large - $0.35. Proxy Card: Authorize another person to check out library materials on your library account. Print and return the completed Proxy Permission Form to the Circulation Desk. Rush Processing: Records of newly acquired books and books that are on order are listed in the online catalog. Patrons who wish to be notified when these items are available may request them at the Circulation Desk. Study Hall Slips: Study Hall Slips are available at the Circulation Desk for student-athletes and others who need to track time spent studying. The WSU Libraries does not monitor the activities of athletes while they are using the Library. Course Reserve Request: WSU faculty and instructors can request items be placed on reserve. The Faculty Course Request Form is available online and at the Circulation Desk. 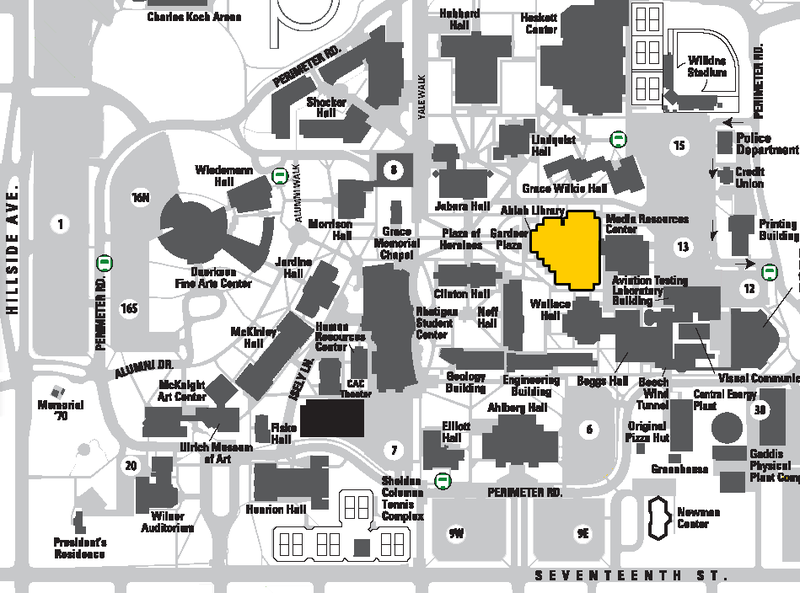 Instructions for placing items on reserve can be found on the Course and Electronic Reserve WSU Instructor Homepage.